In the last post, we started with f(x) = x3 + 4x and by some mysterious process, we generated a new formula, f’(x) = 3x2 + 4. This “derivative” tells us the slope of the original function’s tangent lines. As you enter AP Physics, I would like you to be able to find the derivatives of some basic functions. I will let your math teachers explain where these formulas come from, but I want you to start getting familiar with these now. If you would like to be convinced that the derivative of the sine function is the cosine function, play the video. Watch the tangent line surf along the sine wave (blue). Its slope changes in a pattern that matches the values of the cosine function (pink). where b is the base and x is the exponent. As long as the base is greater than one, exponential functions will all have this same characteristic shape. I sometimes think of e as π’s neglected cousin. They are both “transcendental” numbers, but I don’t know of any middle school that holds competitions for memorizing the digits of e. That may be because π is easier to explain: it’s the ratio of a circle’s circumference to its diameter. 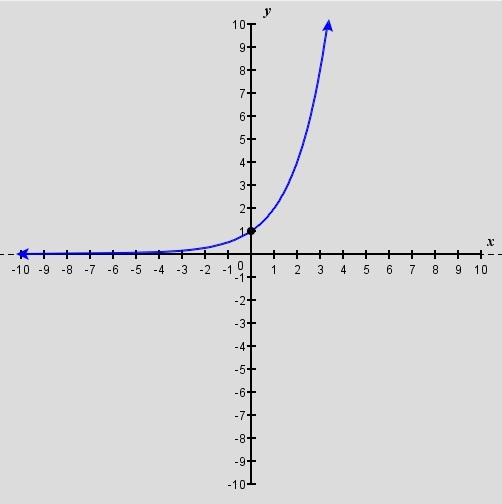 At every point along the graph of the function f(x) = ex, the slope of the tangent line at that point is equal to the value of the function at that same point. 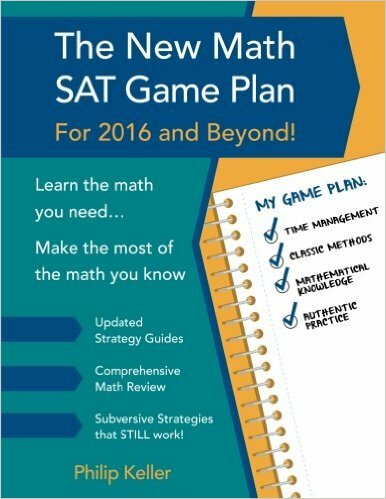 The basic rules you have seen in this post will get us through most of AP Physics. 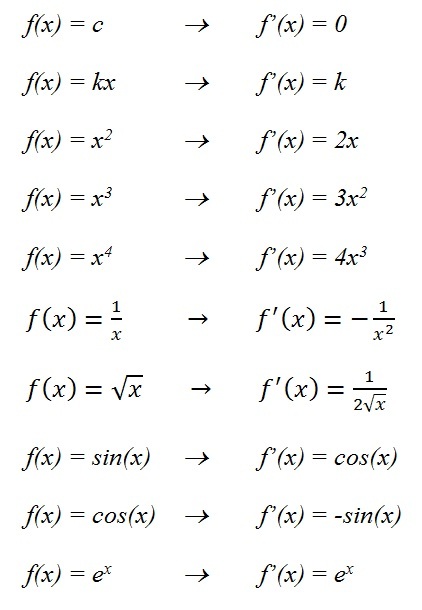 Now we have to learn how to apply these rules to combinations of functions. That’s coming next. For now, I’ll close by re-listing the rules. Memorize them. Print them out and put them in your notebook. Know them like you know your times-tables. Jeannine Lonski on Any Questions?